Our airport transfer services take you from Gatwick airport straight to the heart of London via Waterloo, Victoria or Earl’s Court. Below you will find all relevant travel information to help make your journey easier, be it getting to the bus stop to catch an easyBus, or to make the next step of your journey after arriving in London. Once you’re at the airport, make sure to check out our new Gatwick airport guide. Waterloo Underground station is, as its title would suggest, found on the same premises as Waterloo station itself, and is therefore just a few minutes’ walk from the main entrance. Waterloo Underground station provides access to the Bakerloo, Jubilee, Northern and Waterloo & City lines. Waterloo station is also within close proximity to Lambeth North Underground station (7 minutes’ walk on foot), and Southwark Underground station (also 7 minutes’ walk away on foot). Waterloo station also provides Overground train services via National Rail services; making it especially easy for travellers from all over the country to gain access to this area of London. Many local bus services, see the official Transport For London website www.tfl.gov.uk or call +44 (0)20 7222 1234. A taxi rank is available right outside Waterloo station, through exit 3’s arch, situated on Cab Road. For a list of Taxi ranks available in London, take a look at the Transport for London website: https://www.tfl.gov.uk/cdn/static/cms/documents/taxi-ranks.pdf. As with Waterloo Underground station Victoria Underground station provides ready access to the District, Circle, & Victoria lines; opening up the whole of London to travellers. Victoria station also provides Overground train services via National Rail services; making it especially easy for travellers from all over the country to gain access. There are many local bus services operating in the vicinity of Victoria Station, though the most obvious terminus for bus travel in the area is Victoria coach station; providing an easy means for travellers to connect to national coach services. For more information, visit the official Transport For London website www.tfl.gov.uk, or call +44 (0)20 7222 1234. This easyBus pickup point provides easy access to both Earls Court, and West Brompton tube stations; providing simple access to both the District and Piccadilly Lines; from which you can easily transfer to other underground lines. In terms of Overground stations in the area, this easyBus pickup point provides easy access to West Brompton station; which in turn makes it especially easy to reach other key London stations such as Clapham Junction. Many local bus services operate in this area, see the official Transport For London website for more details: www.tfl.gov.uk or call +44 (0)20 7222 1234. The best way to travel around London during your visit is by public transport. You can purchase London Underground tickets at all of the tube stations in London and use them for the tube, buses and some trains; making travel around the city exceptionally easy for those in the know. It is advisable to buy a Visitor Oyster card, as buying paper tickets costs more. The Visitor Oyster card is pre-loaded with credit so it can be used straight away. It can be topped up if you run out of credit, and has no end date – so it is valid for any future visits to London. 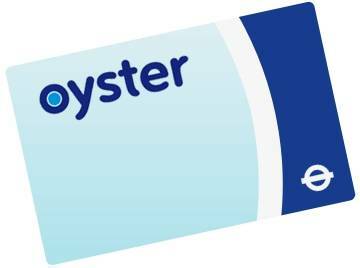 Buy your Visitor Oyster card or Travel card online and have them delivered to your door. Beat the queues and give yourself more time to enjoy London.